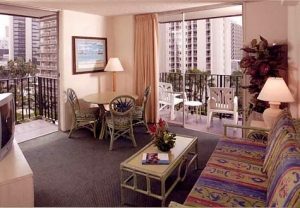 Enjoy the Tropical Beauty and all the Excitement of Waikiki Beach from your own Oahu Condo Rental . . . at the delightful Hokolee Suites. 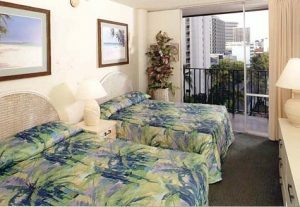 Ideally Located in the Heart of Waikiki – Near the World-Famous International Marketplace – your Vacation Condo Getaway features all the comforts of Home . . . At a Fantastic Value! 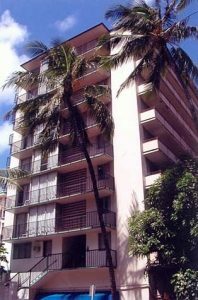 Featuring your choice of Studio Suites Ideal for 2, 1-bedroom Oahu Condo Rentals or Spacious 2-Bedroom Waikiki Beach Vacation Condos. Savor another Spectacular Sunset from the Privacy of your own Lanai, as you sip your favorite Tropical Drink. Featuring a Tropical-appointed decor, your Hawaii Condo Rental showcases large lanais, kitchens, daily maid service and more. Additional amenities feature hi-speed Internet access, color-cable TV, A/C, daily newspapers . . . and even cell-phones are available for rent. 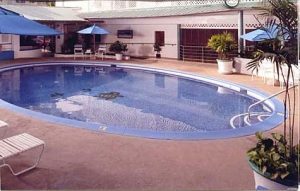 For your added vacation Pleasure, enjoy a refreshing swim in our beautifully appointed tiled courtyard pool or just relax poolside soaking up the tropical sunshine. Our friendly staff is here to help you with all your island activities, and features easy 24-hour check-in. Daily maid service is also yours to enjoy. Do some shopping in our in-store boutique . . . Additional Shops and restaurants are just moments away. The stunning Emerald-Blue Pacific and calm waters of World-Famous Waikiki Beach will also beckon your call. Welcome to the Ideal Waikiki Beach Vacation Getaway ideally located in the Heart of Legendary Waikiki Beach . . . Just a Short stroll to the Sand and near the famous International Marketplace . . . at a Fantastic Value. Welcome to the Hokolee Suites. 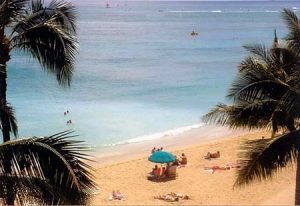 Your Waikiki Beach Vacation Condo Getaway Features your choice of Studio Suites perfect for 2-people; 1-Bedroom Oahu Condo Rentals that sleep 4 guests; Or Spacious 2-bedroom Oahu Condos that sleep 6. All Linens & Towels Provided.